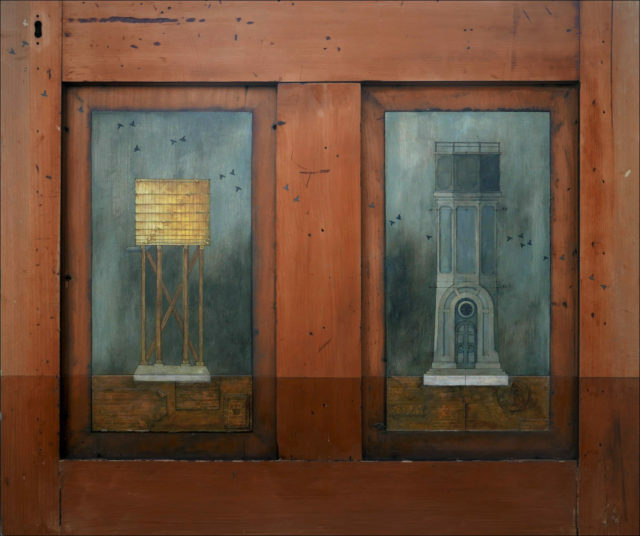 I began this work by researching 2 seemingly unconnected water towers in New Zealand, one located in Plimmerton (North Island) and one in Addington (South Island). The ground line is made up of historical notes related to each site. During the research phase I discovered that a collection of steam trains stored next to the Plimmerton water tower were in fact built by Addington Railway Workshops, which creates a lovely dialogue between the two.